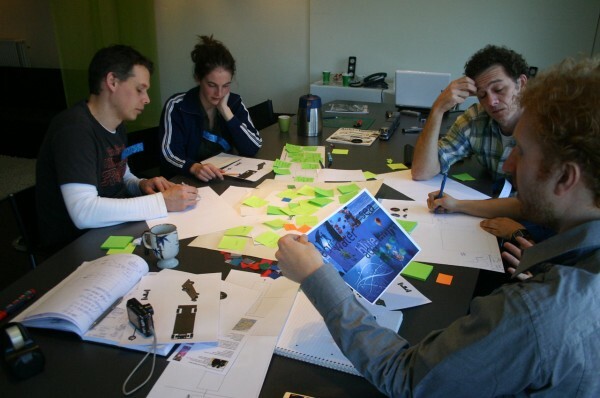 Creative session (part 1) | J. Ricardo Mejía S.
This category contains the summary and analysis of several “creative sessions” that the author has lead during his professional activity and the course “Creative Facilitation” as a part of the Strategic Design Master at Delft University of Technology. These posts include the background, methodology and procedure, results and conclusions of each case study. After several trials I consider that I have some level of expertise and I am plenty of interest in this topic, in order to improve my profile as a strategic & industrial designer. 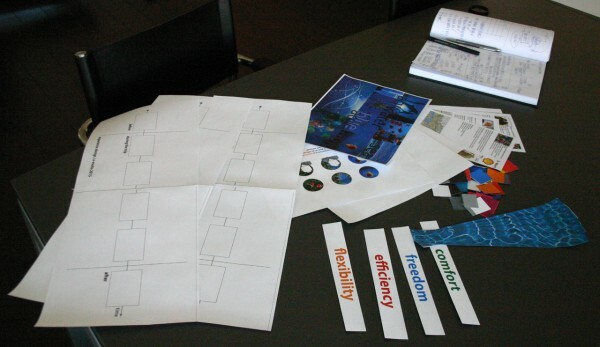 As a kick-off for the conceptualization phase of the project (concept design), it was decided to organize a creative session in an attempt to generate as many initial ideas as possible from a non-biased team of designers and non designers. These ideas would later be used as key inputs for the development of concepts that meet the design guidelines defined earlier in the process. In an attempt to create an atmosphere which would allow the creativity of the participants to flow freely, it was decided to hold the session in an informal and inspiring setting. 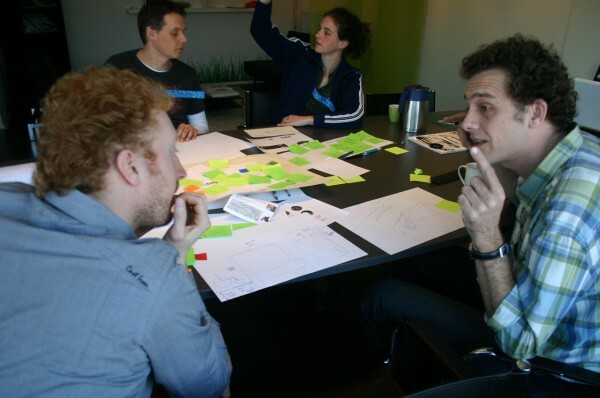 The session took place at afternoon in the Motio Development offices, along with some drinks and snacks for the participants and plenty of blank paper, color markers, sticky notes and various other materials that could be used in a creative way. The whole activity lasted around 2 ½ hours. Icebreaker – Where will you go? A small activity was conducted to introduce the participants to each other and to make them feel a bit more comfortable talking about the subject with whom we would be dealing during the session. Each participant was given a nametag sticker where they could write their name and place it on their chest, and they were asked about what they would like to do and where they would like to be if they have the chance to be part of the ocean; e.g. an island, a fish, a ship, etc. There was a blue map of the ocean available for the whole group, where they could draw lines to show how their position would be, and while doing so they would tell a bit about themselves. After this quick icebreaker, a brief introduction was made to explain to the participants what the domain of the project is and the importance of public transportation within it. The participants were told that we would be discussing about public transportation and in particular buses. A quick explanation of the mission statement, the metaphor and the basic values was made given as a theoretical background in an attempt to avoid confusion during the subsequent activities. The next activity in the planning was to brainstorm about different internal layouts and stimuli you might feel as a passenger while staying and transporting in a bus. A printed version of each value (comfort, efficiency, flexibility and freedom) was placed on the center of a blank A0 sheet of paper, onto which sticky notes could easily be glued. The first part of this brain storming dealt with the participants’ interpretation of each value. A circle was drawn around each value, and the participants were asked to write down on sticky notes every emotion that they thought that each value was portraying and to glue them within this circle. The second part dealt with the different stimuli that would generate such a reaction on people while in a bus, and so a second concentric circle was drawn and the participants were asked to write down any situation, event, person or thing that they considered could elicit such a reaction in a passenger, and they were asked to glue these new sticky notes within the second circle. The results of this activity were 4 posters which included an interpretation of what each value represented and the stimuli for such a reaction. The participants were separated into two groups of three people each. One group consisted exclusively of designers, and the second one of non-designers and designers. Each group would select 2 of the posters created in the previous activity and go into a separate room where they would receive an A4 page with the description of a persona (see the explanation of persona in the previous topic). The assignment was simple, each group was asked to create a storyboard of the experience before, during and after the journey of the personas they were assigned and to include the emotions they chose as an integral part of their story. This could be done both by drawing or writing down what would happen in each story. After a short 10 minutes break, the participants were finally introduced to the project’s general idea of designing the interior of a minibus. The participants were then separated into two new groups, different from the ones previously arranged, and they were assigned one of the storyboards to work with. They were then asked to try and generate as many ideas as they could of possible ways to create the most pleasant experience of the personas in the storyboard they received. After 20 minutes, the storyboards with these initial ideas were exchanged between the groups and they were asked to elaborate on the ideas that the previous group had come up with. 15 minutes later this was repeated once more to allow all groups to interact with each other’s storyboards and ideas. 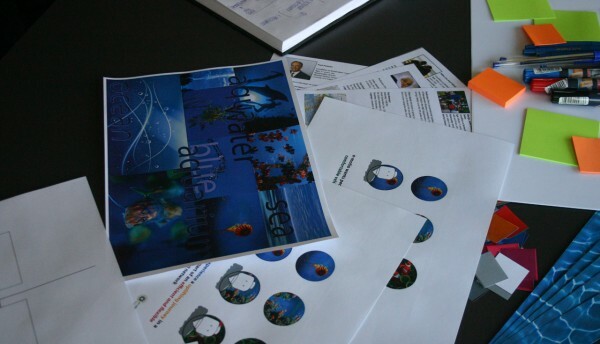 The final conclusions of this creative session were used in the interior design phase of the project.